We offer our range of fully automatic sand drier and cooler. Similar to our drier is our sand cooler which is also one of the most demanded in different manufacturing industries. Our range of Rotary Dryer & Cooler Plants is well known for its international quality, durability and reliability used for drying and cooling of free flowing materials. 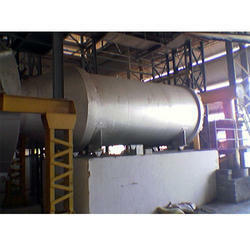 Fabricated from superior quality raw material, these dryers and coolers are extensively used in array of industries. Made in our latest technology equipped production unit by team of dedicated technicians, these are known for its specific design, durability and quality performance. 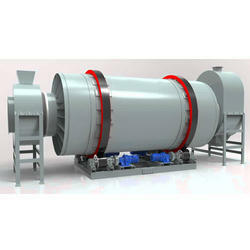 We stand as one of the leading manufacturers of Rotary Dryer for fines and lump. Best available raw materials are used in making these machines. Our state of the art production unit along with highly qualified technicians ensures perfect and quality performance of these machines. Our dryers are known for low fuel and power consumption and low maintenance. Fuel Options: Hot Air, Coal, Wood, Gas, Oil, Saw dust etc. Looking for Dryers and Coolers ?